Several trips are available for you early risers! 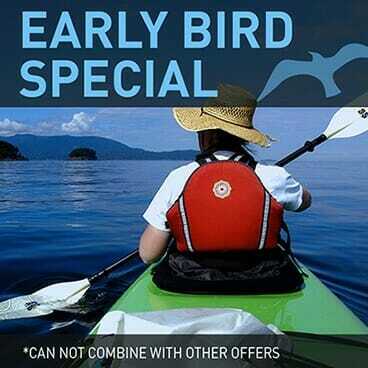 We believe that the early bird should get the worm so we have discounts for you on our most popular trips. Experienced campers love the self-catered option! Why let that great equipment go to waste and waste away in the garage? Check out our information page to see if this is an option for you. Is it a good fit? 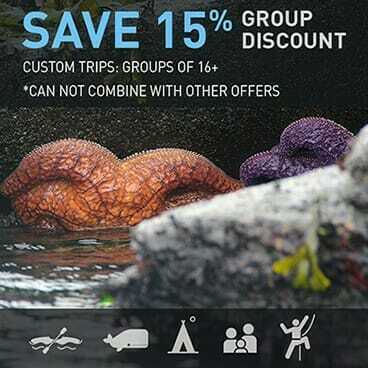 Prepare for your trip and you enjoy the savings. Check out our Self-Catered page for all the info and a quick link to available trips. Enjoy this popular 'Everyday Savings' from AKT. Planning a party? Or perhaps you need to get your team back in sync. 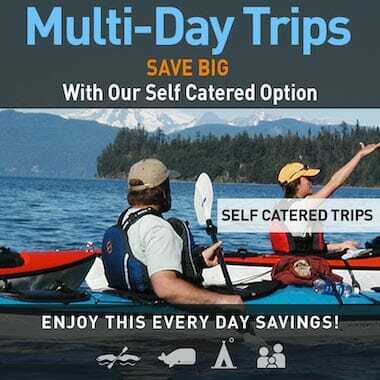 Make Anacortes Kayak Tours your partner and we will help you host the perfect event. Contact us to design your event. Whether it is for the day or for a multi-day trip we have the ability to support you in designing the best event for your group. We can even set up your group for camping and provide full meal service. Prices are dependent on your needs but we are always reasonable so give us a call and let's start planning. (800)992-1801.